Williams, whose birthday is March 26th, is considered the greatest Southern playwright and one of the most important of the 20th Century, with a body of work that still resonates with American audiences today in revival after revival. His work examined subjects previously taboo to America audience of the late 1940s and 1950s, such as mental illness, domestic violence, and untamed sexuality. 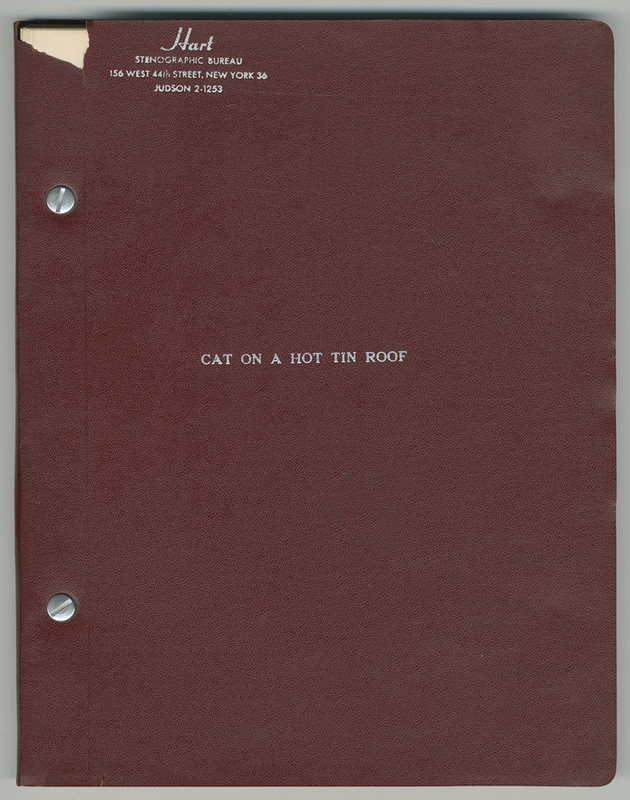 In addition to A Streetcar Named Desire and Cat on a Hot Tin Roof, both Pulitzer Prize winners, he wrote The Glass Menagerie, The Rose Tattoo, Night of the Iguana, and Suddenly Last Summer. 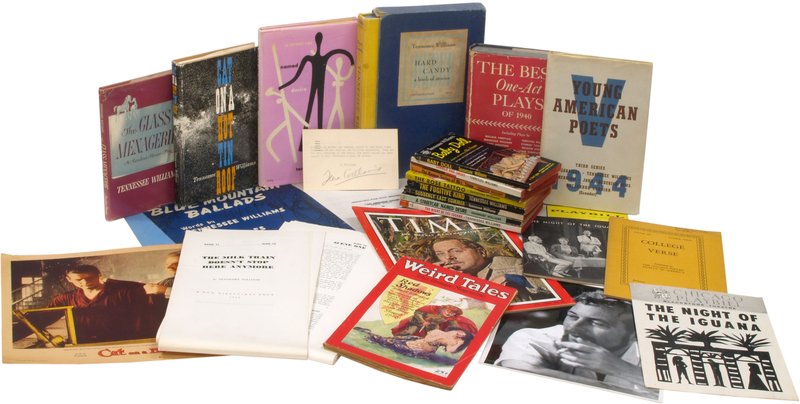 Most of the exhibit comes from the personal collection of the publicity director for New Directions, which first published many of the Williams plays. This enabled the collector to get books signed by the author, and gave him access to the publisher’s pre-publication galleys and page proofs, both of which will be on display. He also meticulously collected Williams’s magazine appearances, as well as foreign editions, and any and all related ephemera, including playbills, ticket stubs, lobby cards and flyers. 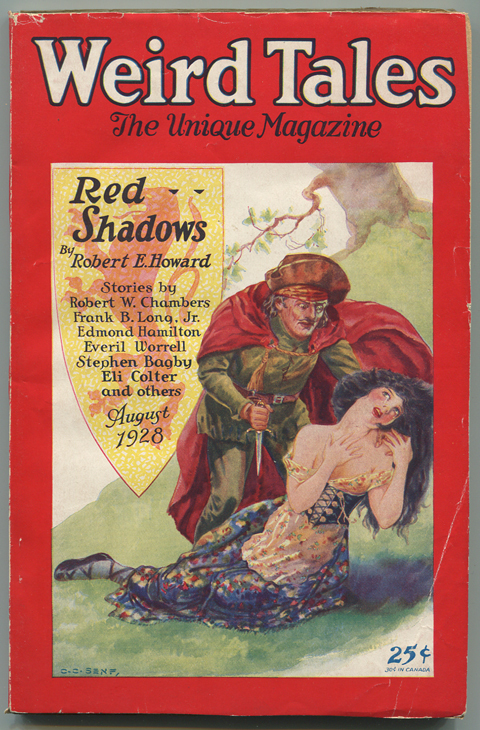 Among the items is a beautiful copy of Weird Tales magazine from 1928, which contains Williams’s first published story, written when he was just 16 using his real name, Thomas Lanier Williams, as well as the dedication copy of Hard Candy inscribed to Paul and Jane Bowles, along with their signatures below the printed dedication. Also on display is the film treatment for The Gentleman Caller which Williams first offered to Metro-Goldwyn-Mayer while briefly employed as a staff writer. 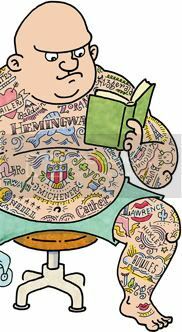 The studio passed on the detailed outline, despite the inclusion of several happy endings from which they could choose. The rejection turned out to be a blessing for Williams who opened the play the following year on Broadway with a new title, The Glass Menagerie. It was his first major success on Broadway and is considered an American classic. 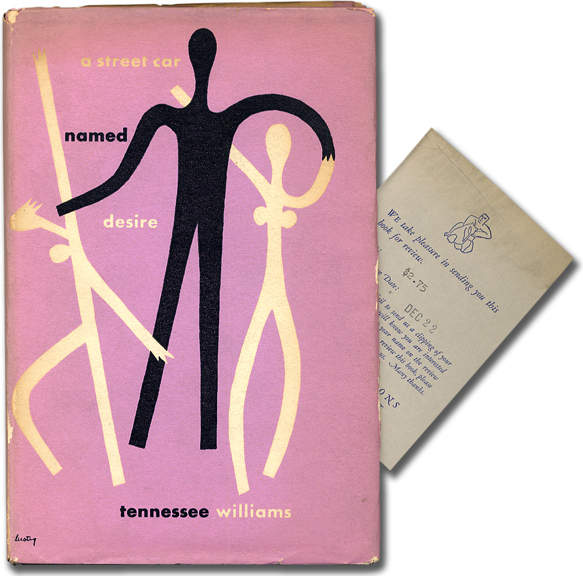 The Tennessee Williams exhibit runs from March 1-31 and is free to all visitors to The Bookshop in Old New Castle, located at the site of the historic opera house at 308 Delaware Street in New Castle, Delaware. On April 1, the Bookshop of Bordentown will open the next exhibit in its series; “The National Game — Baseball in Print,” which will showcase baseball-related books and prints. 3 links up, 2 links borked. Fixed the links. Thanks for the heads up.